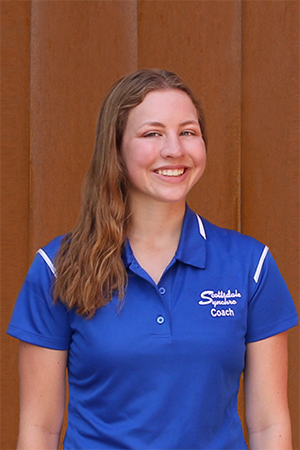 I began swimming for Scottsdale Synchro at the age of 7 and quickly developed a love of the sport. 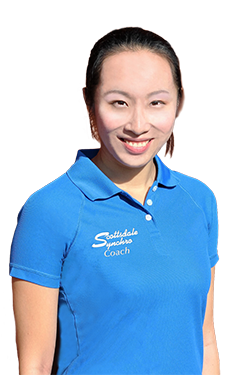 I began competing at a National level while in the 12 & Under age group and have had many wonderful experiences over the years. My team has been and is still like family to me. Synchronized swimming has given me the tools to see hard work and dedication pay off on both an individual and team level. It has taught me about dedication, time management, and good sportsmanship. I strive to bring these qualities to my own swimmers. I am grateful for the opportunity share my passion for this amazing sport!